To monitor visitor traffic patterns and site usage to help us to develop the design and layout of the website. 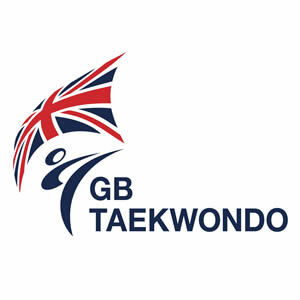 Personal details may be for purposes such as notifying you of GB Taekwondo news, events, fixture, ticket, merchandising and player information which we think may be of interest to you. Sport Taekwondo UK Ltd will not put any personal information about you on general release nor will it sell such information. We employ other companies and individuals to perform functions on our behalf such as generating content, analysing data, providing marketing assistance, managing our social media platforms and designing and operating our website. Such companies and individuals have access to your personal information for the purpose of carrying out this work only. These companies will not use your data for any other purpose. Under no circumstances will these companies use any additional data about you to which they are party for any other purposes. Sport Taekwondo UK Ltd recognizes that we have legal obligations in terms of the collection and use of personal data made available to us. This website is provided on an “AS IS” basis and Sport Taekwondo UK Ltd excludes all warranties or representations of any kind with respect to this website or its contents. In particular, Sport Taekwondo UK Ltd does not warrant or represent that the information contained on this website is accurate or up to date. The contents of this website are designed to comply with English Law. You may be viewing the website in a market in which we do not promote GB Taekwondo, or events, good or services. Sport Taekwondo UK Ltd cannot be held responsible for non-compliance with any local advertising or other laws in relation to this website or its contents. If you are under the age of 18 you may register on the website to receive newsletters and other information but only with parental or guardian consent.